The relaunched Connect™ resident portal creates efficiency for board members and residents, while giving our associates more time to do what they do best – make a difference every day for each member of the communities they serve. 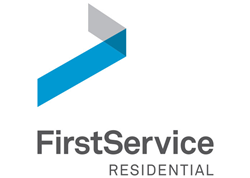 FirstService Residential, North America’s property management leader, kicked off 2019 with the delivery of enhanced technology for board members and a relaunch of its Connect™ resident portal. A highly customizable and robust online property management platform, FirstService Residential Connect™ now offers the next generation of resources for board members to more easily identify needed operational improvements, reduce costs and deliver better service to residents. In addition to these enhancements created specifically for board members, the company’s relaunched Connect™ residential portal provides a stronger overall offering of self-service tools that allows all residents to use the platform for everything from booking amenities to paying association fees and submitting service requests. FirstService Residential Connect™, which also features mobile apps, helps the property managers, board members and residents of nearly 8,000 communities stay in touch 24/7. The offering continues to evolve as technology advances, with these most recent updates made in response to feedback from board members, residents and company associates to increase mobility and capitalize on Connect™ to further elevate the customer experience and streamline day-to-day operations. The enhancements also improve the platform for property managers. Connect™ now works faster and more effectively so managers can deliver exceptional service, help communities maximize their property values and connect with board members and residents instantly. Board View – a resource created specifically for board members to enhance their ability to spot operational needs and make improvements while reducing costs and delivering added value and service to residents. Communications – tools for board members to connect securely to property managers, other board members, committee members, residents and authorized vendors. Community Calendar – a complete listing of monthly events, meetings and celebrations. Community Info – an area of the online platform where board members can review meeting minutes, budgets, monthly financial statements, collections, violations and other vital reports in real-time. Service, Amenity and Reservation Management – tools to monitor and manage tennis reservations, event space, visitors and package management to streamline processes and increase resident satisfaction. Manage Accounts – a feature enabling residents to pay for association fees, schedule recurring payments, and check account balances and the status of any reported violations. Community Calendar – where residents can view upcoming community events meetings. Find Answers – a tool to access a community’s dedicated Knowledge Base to get answers to residents’ most common questions. Other Services – residents can use these features to make reservations for amenities, request maintenance, submit requests for architectural modifications or check on package deliveries. For more information, visit http://www.fsresidential.com/connect.